Oogie students gathered for a group show to showcase what they learned and how the recent trip to Silicon Valley changed or influenced their ideas about art. This past summer of 2013, Oogie Art students took a major trip to visit various companies in Silicon Valley. This was by far one of the most rewarding experience for our students as they were given advice and stories from industry professionals directly. Students saw first-hand how art and technology were creating new, in-demand career paths for art college graduates giving them lots of practical insight into how they could better prepare their paths as artists & designers. Some of the design and tech-startups visited were Elemental 8, a product design agency, Liquid Agency, a branding and marketing firm, and Wagic, a toy design company. From listening to the advice & stories from passionate people in the industries, it gave students inspiration to pursue their dreams. 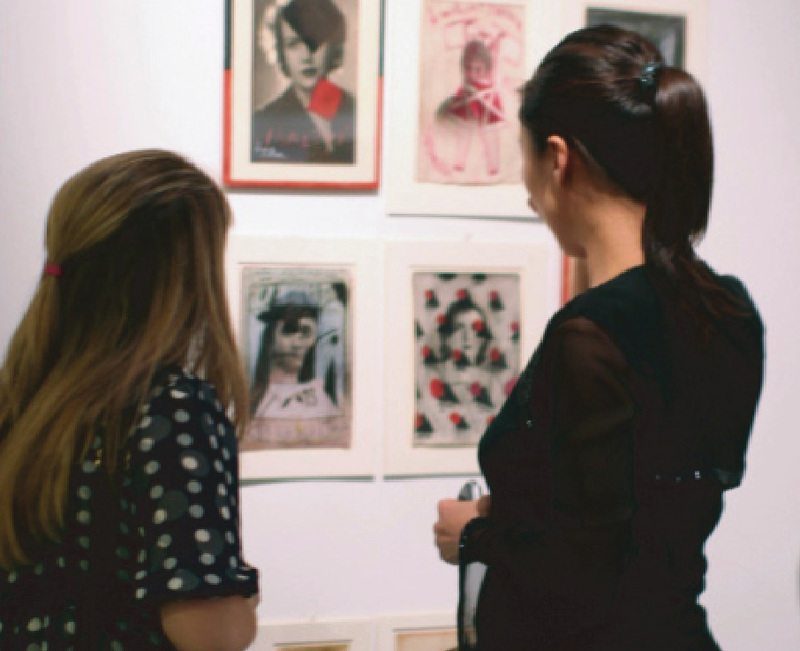 The International Migration Art Festival, an Italian Non-profit organization, had a show at the gallery in London and Oogie students assisted contemporary artists during the installation of artworks held at the London Olympics. Oogie students traveled to 11 different cities, 12 museums and 8 colleges this summer. It was an extensive program to help students familiarize with all the famous classic and contemporary artwork one might see in an art history book. Students also visited several colleges and toured the campuses, giving them an idea for future plans to apply to an art school. It was a great experience to get out of the studio and view great works of art. Art Leadership program in Lumawawasang orphanage in Ipoh, Malaysia. Oogie students traveled to Malaysia to paint a colorful mural at an orphanage located in Ipoh. It was painted on the wall of their workshop center where students learn basic sewing or barbershop skills in order to prepare them for a job once they leave the orphanage. Oogie students made artwork together on the topic of mentors and role models, and many orphans told their stories of missing their own families. Oogie students learned the role of bringing art to connect as a universal language. Oogie students took a trip to Spain and Venice this August to view the famous artwork and architecture in each country. Students started out in Barcelona and Madrid, visiting the Sagrada Familia and Architecture by Gaudi, along with the Prado museum and seeing famous works of art by Velazquez, Goya, Picasso, etc. heading to Venice to learn about the Renaissance and Mannerism. Oogie students had an amazing time in Paris, France viewing world famous artwork and architecture. Students started out at the Louvre and saw artwork by famous artists like Da Vinci, Courbet, Monet, Edgar Degas, Van Gogh, etc. as well as viewing Baroque and Classicism examples. They also visited the Palace of Versailles which is now a national landmark. After their trip to Paris, Oogie students made artwork inspired by their researched artists in Paris. They visited the Louvre and Museum of Orsay, viewing hundreds of famous artwork. Their artwork was exhibited in a special group show after the program. Oogie Students took a trip to Italy to view famous artworks from the Italian Renaissance. Starting at famous galleries like the Uffizi gallery, students went from Renaissance to contemporary work. The title was "Think with the Senses - Feel with the Mind. Art in the Present Tense". Works by about 100 artists and groups were shown at the Arsenale and the Italian Pavilion in the Giardini, among them several site-specific installations.